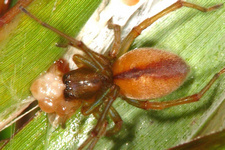 The widespread global group of spiders, Eutichurinae, is since 2014 elevated to a separate family, the Eutichuridae and is since then represented in Europe as well. This is because the genus Cheiracanthium was moved from the Miturgidae to this new family. 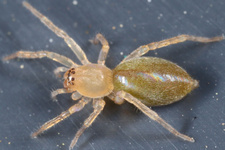 It had long been known that Cheiranthium wasn’t properly in its place within the Miturgidae nor in the Clubionidae where they were located earlier. 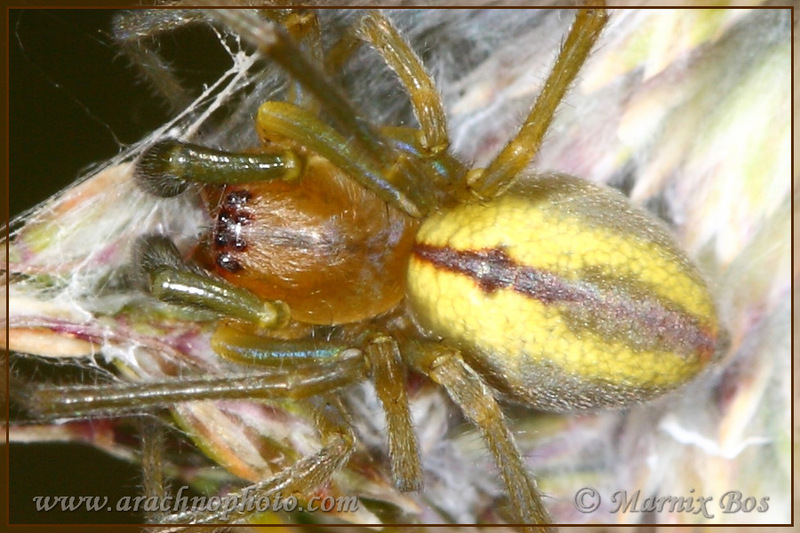 The male Prowling spider has a striking groove at the end of their palps. The spiders do not build a web and hunt at night. They make a sac-shaped silken retreat, in which they hide during the day and also keep and guard their egg sacs. 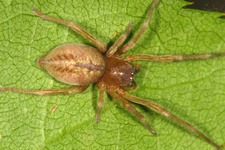 In Europe about 30 species can be found. 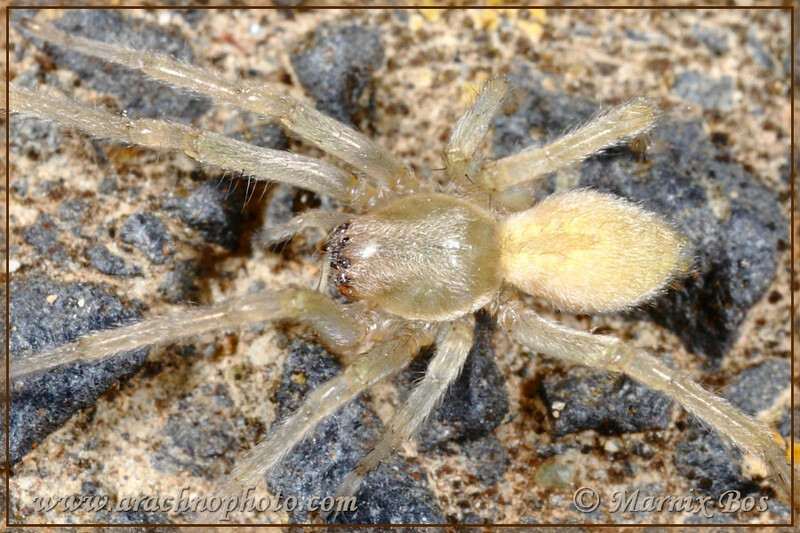 Cheiracanthium until recently belonged to the family Clubionidae and thereafter Miturgidae, but is now considered to be part of the new family Eutichuridae. They have long, slender legs, with pair of legs I clearly longer than the rest. Generally they are also pretty big. They hunt at night and hide themselves during daytime in a silken retreat under stones or vegetation.